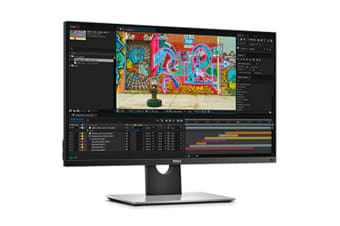 Expect vivid, accurate color precision, ultra-thin bezels and wide colour coverage to suit your professional needs with the Dell U-Series 27” UP2716D monitor with PremierColor. Immerse yourself in an exceptional visual experience. Revolutionise your viewing experience with the Dell 27” UP2716D, which offers amazingly high colour depth with 1.07 billion colours and QHD resolution. Equipped with Dell’s thinnest bezel width to date, this monitor can be integrated seamlessly into a multi-monitor view.